Apply now for fall 2019 using the Millersville University online application. Apply now for fall 2019 using the Common Application. If you are applying directly from high school or have not attended a college or university after high school graduation, follow the First Year Students application process. If you have attended a college or university after high school graduation, follow the Transfer Students application process. Thank you for your service! Learn how Millersville can now serve you. A special application is in place for the RN to BSN Online program. 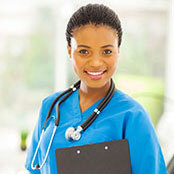 Click here to apply to the RN to BSN online program. If you missed at least one major semester at the University. If you were granted an official leave of absence, you will need to re-apply once you have been absent for at least two major semesters, follow the Re-Entering Students application process. If you have already earned a bachelor's degree and wish to seek a second bachelor's degree, following the 2nd Bachelor's Degree application process. If you are currently enrolled as a degree seeking student at another college or university, follow the Transient Students application process. Millersville University appreciates the cultural diversity and breadth of perspectives brought to us by students from other countries. More than 100 international students are currently enrolled. View more. If you are not planning to earn a degree or have not earned a 4-year degree or wish to enroll in fewer than 12 credits, follow the Part-time Non-degree Students application process. Millersville University offers a special early entry program for talented high school students who wish to enroll part-time into an MU course as they complete their junior or senior year in high school.